New Delhi, Oct 27 (IANS) Budget carriers SpiceJet and IndiGo have been given a little more than two months time to shift some of their flight operations to Terminal 2 (T2) from Terminal 1 (T1) at the Indira Gandhi International Airport here. The shifting of flight operations to T2 is a prerequisite for the commencement of T1’s expansion plan. Low cost passenger carrier GoAir will operate its first flight out of T2 on October 29. According to the Delhi International Airport Limited (DIAL), it has given time till early January 2018 to IndiGo and SpiceJet for shifting some of their flights from T1 to T2. Earlier, the deadline for three low-cost carriers — IndiGo, GoAir and SpiceJet — which currently operate from T1D — to shift some of their flight operations to T2 was October-end. “We are in consultations with our stakeholders (SpiceJet and IndiGo)… we have given them time to shift (some of their flights) to T2 by January 4, 2018, DIAL’s Chief Executive I.P. Rao told IANS. 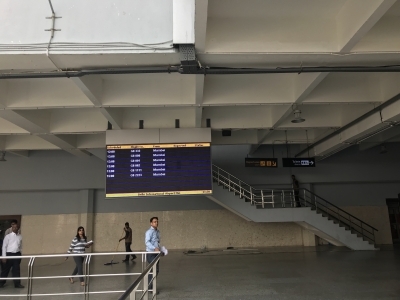 “We have spent Rs 100 crore on this terminal (T2) and we will keep putting in Rs 65-70 crore every year for its maintenance… We all are working for the passengers’ convenience and ultimately I believe that goodwill will prevail,” Rao said on his consultations with IndiGo and SpiceJet. The T1 expansion plan envisages a new integrated terminal that can handle 40 million passengers per annum. DIAL had earlier said that the budget passenger carriers’ departure terminal T1D and terminal T1C will be merged into one and expanded to accommodate 40 million passengers per annum. However, for the plan to go forward, the operator needs to shift some traffic catered to by the current T1D to the T2 terminal. The T1D terminal, which has a passenger handling capacity of 20 million per annum, handled 24 million passengers during 2016-17. DIAL further said that no new flight operations slot will be given for T1. Consequently, any new flight service by IndiGo and SpiceJet from IGI airport will have to be operated from T2. 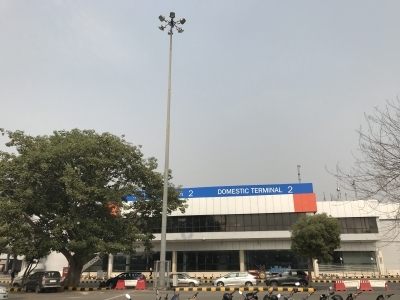 On the revamped T2, DIAL said that it has spent Rs 100 crore and has also decided to provide free inter-terminal transfer facility between T1 and T2 for a period of three months which is in addition to its usual transfer shuttle bus service. On Thursday, GoAir had said that its service “G8 207” from New Delhi to Lucknow on October 29, 2017 will be the first flight to depart from T2, Whereas, its flight G8-148 from Ranchi will be the first to arrive at the terminal from the night of October 28. The Terminal 2 was the erstwhile international terminal of the IGI airport prior to the opening of T3. It has a capacity of handling 12 million passengers per annum.